On your way to Magic Kingdom? Hopefully you’re ready to “say cheese” because Magic Kingdom is Disney World’s most magical place to capture those once in a lifetime photos. Here are a few tips and tricks for making the most of taking photos at Magic Kingdom. Some of our absolute favorite family photos were taken at Magic Kingdom before park opening. How does one do this? It’s simple really – just snag a super early breakfast reservation within Magic Kingdom, at a restaurant such as the Crystal Palace, Cinderella’s Royal Table, or Be Our Guest. Enter Magic Kingdom before it officially opens and you’ll have a moment of quiet in the middle of Main Street, U.S.A. or even in front of the Cinderella Castle! This makes for great photos because one – you’re clean and haven’t worked up a sweat after a day in the park, and two – it’s just your family in the photo… no people surrounding you! Making this experience even better is the fact that PhotoPass Cast Members are typically on the street before park opening so they can snap these magical photos! Both! Iconic areas are a must-do on our list of Magic Kingdom photos because well, it is Magic Kingdom after all! 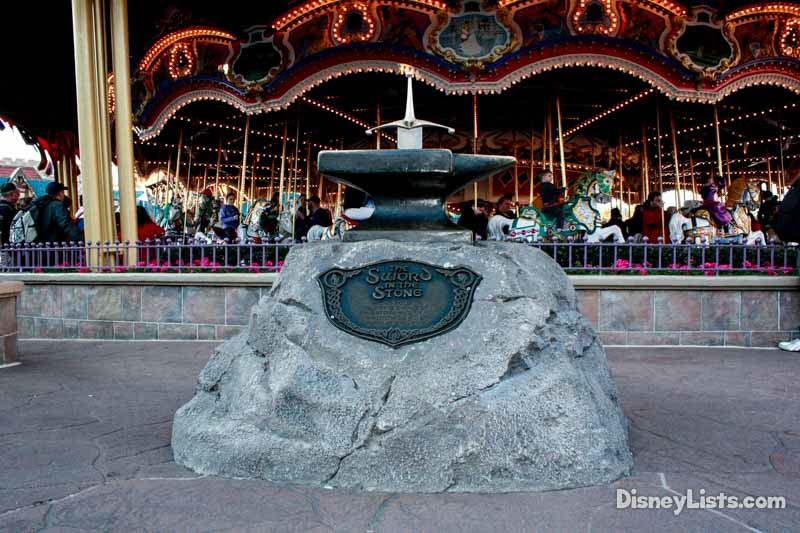 Be sure to snap photos at some of the iconic locations within the park such as in front of the Cinderella Castle, the Sword in the Stone, Main Street U.S.A., Walt and Mickey “Partners” Statue in the hub, and Roy (Walt’s brother) and Minnie near the flag pole on Main Street. For those not so popular spots, but still fantastic – think about what perks your interest within the park? For example, we love the new Gardens at Magic Kingdom. They are absolutely beautiful so why not take a group photo there? If you have a favorite attraction or restaurant, take a photo at the entrance – just make it quick so you don’t hold up the line. You can never have too many photos so “say cheese” until your heart is content! If you are the type that likes to open and close the park, you may want to double up on your favorite photo locations as the atmosphere around you will likely be much different as the day goes on. For example, in the morning – the blue sky surrounding the Castle is perfect. However, at night the Castle glows with thousands of beautiful lights. It’s just a completely different look – making for a completely different photo depending on the day! TIP – one of our favorite places to take photos at night is the Tomorrowland Terrace. The bright lights in this section of the park are just awesome. Which Magic Kingdom attractions have the photos on the rides and which ones don’t? Do a little bit of research on which rides have the photos and where on the rides they are located. It’s fun to know so you can make a silly face or simply leave your face as terrified as you’d like! Whether you are plummeting down Splash Mountain or flying through Space Mountain – don’t forget these ride photos might just be the best ones out of the bunch! Characters are located throughout Magic Kingdom and yes, they are totally worth the wait in our opinion! We especially love catching Goofy, Donald, Daisy, and Minnie in their unique outfits over in Pete’s Silly Slide Show. Don’t forget to look for Stitch hanging out in the Tomorrowland Terrance. You may also spot Mary Poppins greeting folks with her Penguin friends in the Garden near the hub of the Castle. Of course, there is also talking Mickey over in Mickey’s Town Square Theater – but this one is fun to video! Don’t forget about the note so popular “characters” such as the Main Street U.S.A Mayor or the Casey’s Corner Pianist. Better yet, be the character yourself! It may sound cheesy but wearing those matching outfits, silly Goofy hats, or Mickey ears can be a great way to capture that perfect family Disney moment. PhotoPass Cast Members will guide you through some silly poses from time to time, and you may even have to hold your hand out and wait to see what sort of Disney critter ends up on your palm. Just go with it and have a great time letting that inner character come out! 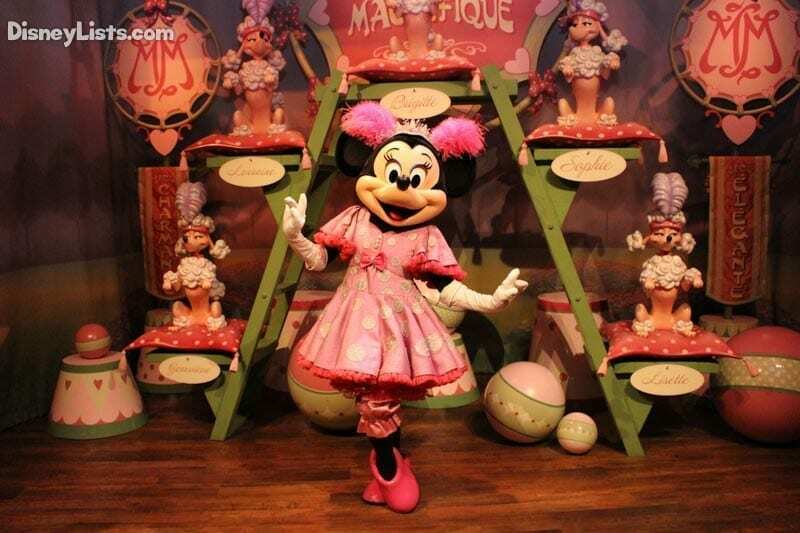 Have you ever visited Disney World and went home raving about a particular restaurant and delicious entrée, drink or dessert you just couldn’t get enough of? Before scarfing down the goodness in front of you, take a picture of your dish/drink. This might be strange for some, but it really is the easiest way to show someone what you ate as you attempt to explain the masterpiece! For example, at Tony’s Town Square Restaurant, some of the desserts come with a beautiful design of Lady and the Tramp in chocolate sauce. It’s just as tasty as it is incredible to look at! Pause the moment and snap a quick photo to share with friends and family later. What are some tips and tricks you recommend while taking photos at Magic Kingdom? 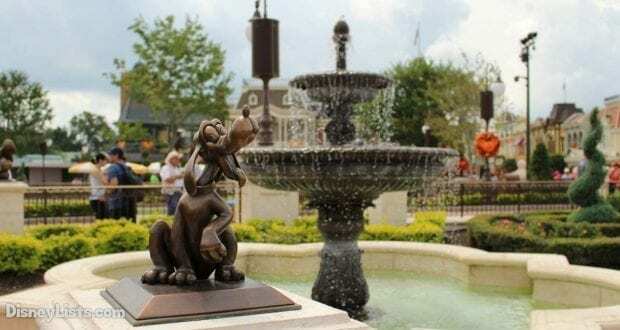 For more ideas on where to take pictures be sure to check out our top photo spots in Magic Kingdom. We’d love to hear from you!